“We're really delighted about it,” Wade told the Limerick Leader, “It's the sixth year in a row 1826 has won the best restaurant in Limerick award and that's testament to all the hard work and effort from the team - past and present and everyone has contributed to putting 1826 where it is. “As for the chef award, I'm absoutely delighted, there are some great people cooking in Limerick at the moment and that makes it even better, but the best restaurant is one for the team and we're always delighted and never take it for granted that we're going to achieve it. “Plus we have a 10-month baby boy, so the time for celebrating is very slim,” he revealed. Another restaurant celebrating double success was The East Room at Plassey House in UL which took awards for Best Emerging Irish Cuisine and Best customer service. Chef Derek Fitzpatrick, pictured above, told the Leader, “We are delighted to win in the best emerging Irish cuisine and customer service categories. 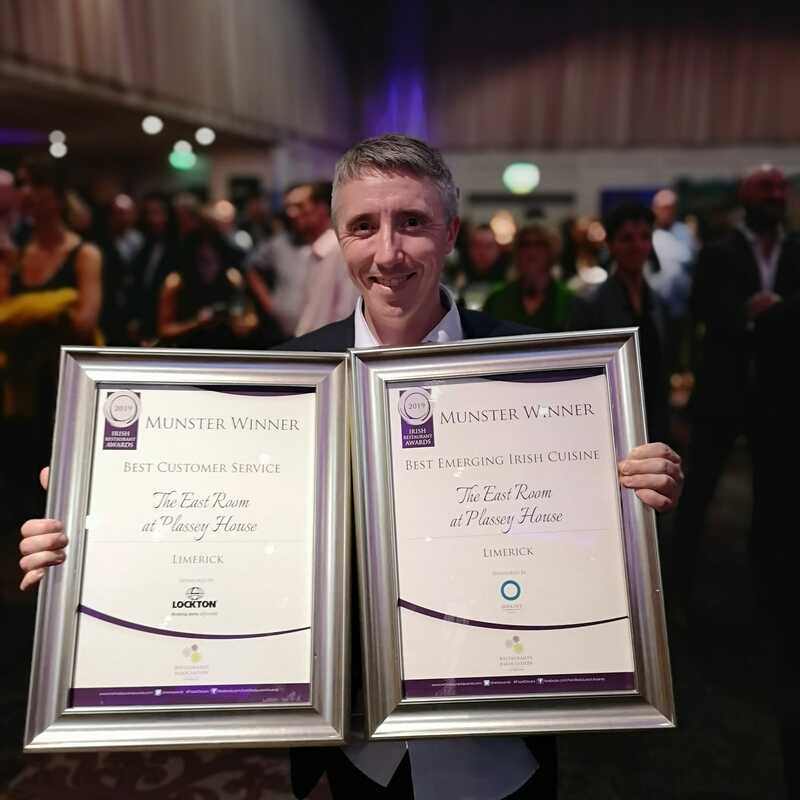 The Strand Hotel also took two gongs on the night, winning best hotel and guest house while its executive head chef Tom Flavin was named best local food hero. As always food is enhanced by the right drink and in the beverage department, Limerick again scored well. Mother Macs won pub of the year, while Adare Manor won best wine experience, Hook And Ladder won best cafe and Rift Coffee won best newcomer. All of those who won at regional level will compete for All Ireland Titles, which will be announced at the Irish Restaurant Awards in the Clayton Hotel, Dublin on Monday May, 13. “Ireland may be a small country, but it boasts everything from fine dining to high quality gastropubs, from the comfort of traditional Irish food to exploring the world though exotic world cuisine, the Irish restaurant industry has much to offer. We have an appreciation for what we eat and where our food comes from, as well as the dedication of those working in the food industry”.